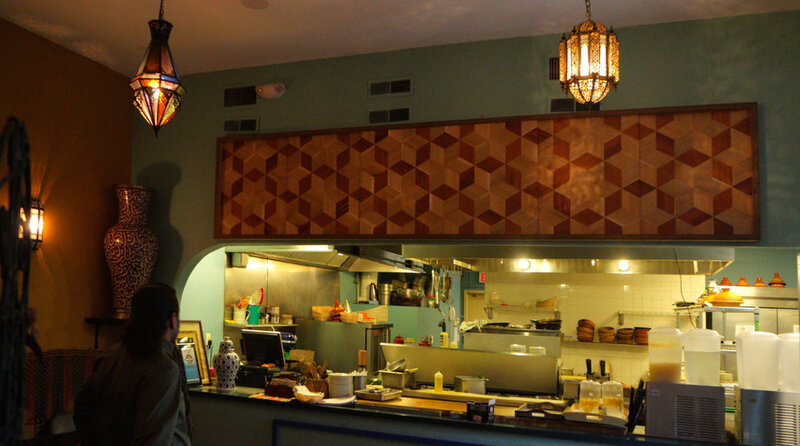 I made this long, shallow sliding-door cabinet for Baraka restaurant in Cambridge, MA so they could display their lunch menu at the counter during the day but have it covered during their sit down dinner service at night. 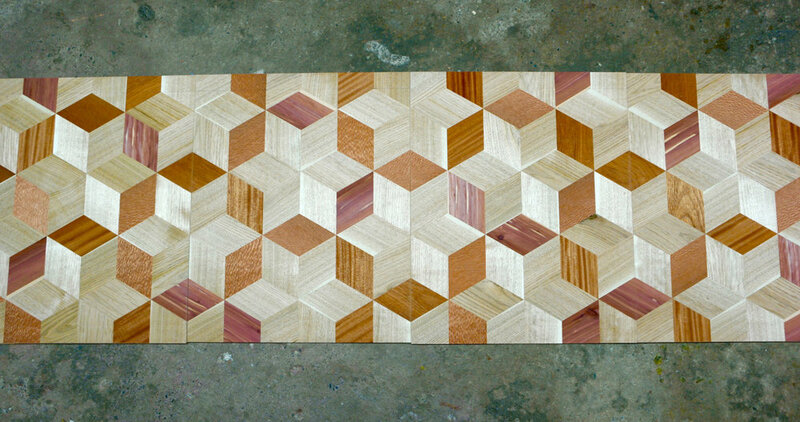 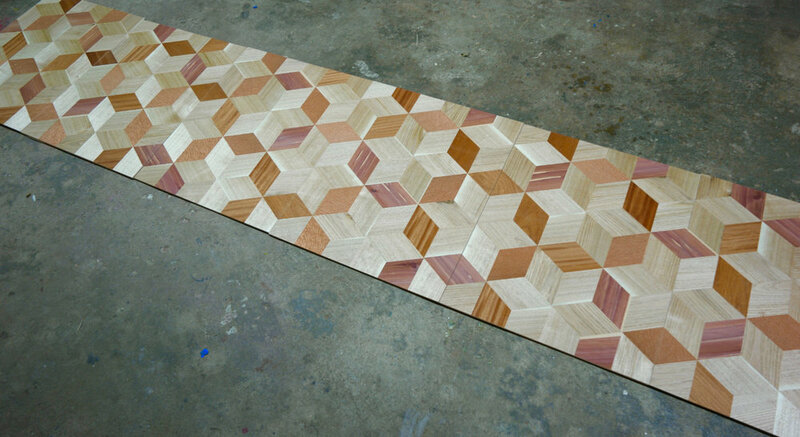 There are six tessellating parquetry panels. 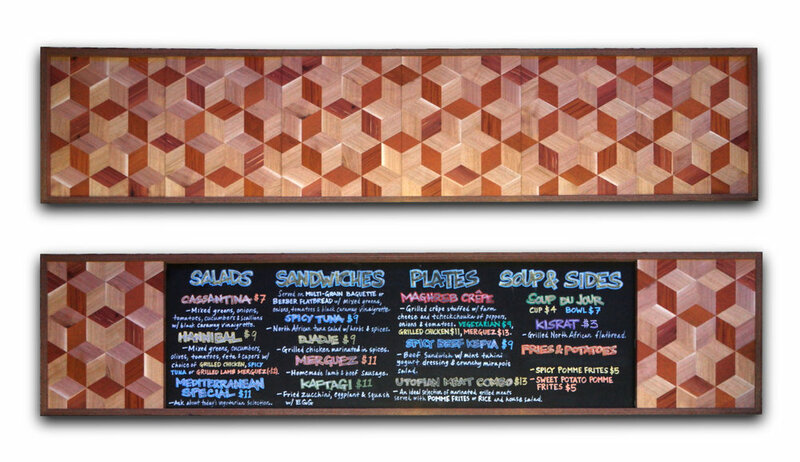 The middle four are mounted in grooves and slide to the side to reveal the chalkboard menu.